APC2 antibody recognizes anaphase promoting complex subunit 2 also known as cyclosome subunit 2. Mouse anti Human APC2 antibody recognizes the anaphase promoting complex subunit 2 also known as cyclosome subunit 2. A large protein complex, termed the anaphase-promoting complex (APC) or the cyclosome, promotes metaphase-anaphase transition by ubiquitinating its specific substrates such as mitotic cyclins and anaphase inhibitor, which are subsequently degraded by the 26S proteasome. Biochemical studies have shown that the vertebrate APC contains eight subunits. The composition of the APC is highly conserved in organisms from yeast to humans. The product of this gene is a component of the complex and shares sequence similarity with a recently identified family of proteins called cullins, which may also be involved in ubiquitin-mediated degradation (provided by RefSeq, Jul 2008). 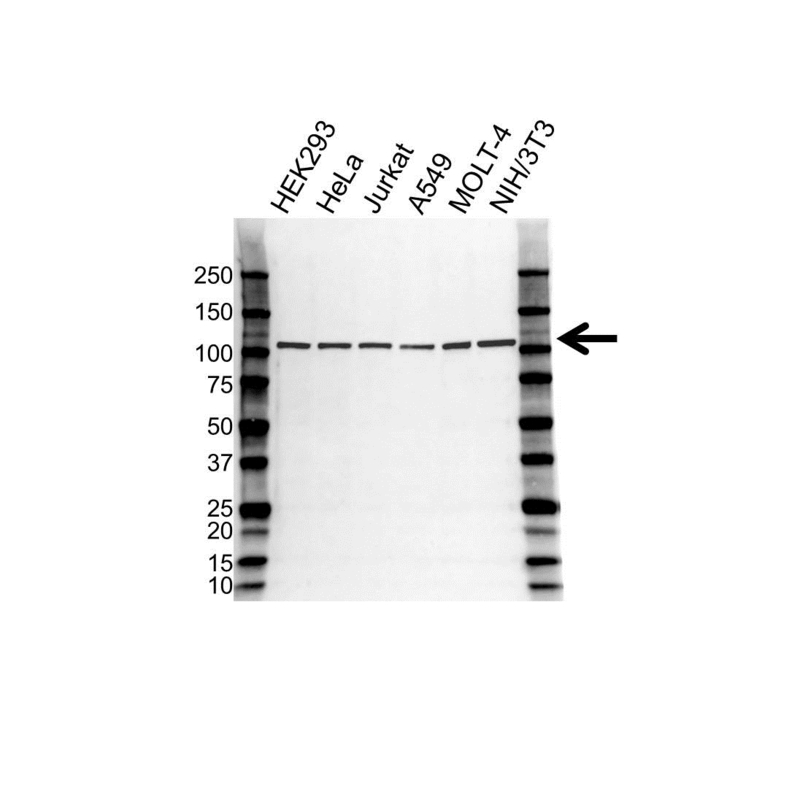 Mouse anti Human APC2 antibody detects a band of 100kDa. The antibody has been extensively validated for western blotting using whole cell lysates.